In May 2018, we were delighted to welcome the influential Chinese blogger, Liu Huan, to the UK on a media trip. Huan is an illustrator and photographer who graduated from the China Academy of Art. 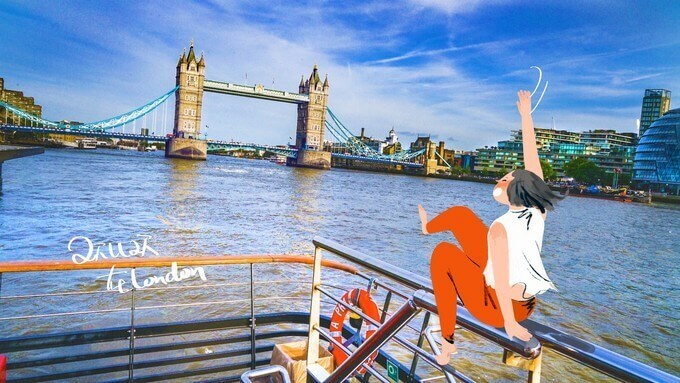 We worked with nine partners on Huan’s itinerary to make the trip as fulfilling as possible, including VisitBrighton, London & Partners, Historic Royal Palaces, The View from the Shard, City Cruises, Royal Museums Greenwich, Household Cavalry Museum, English Heritage, and RHS Wisley Gardens. The seven-day itinerary covered many of the UK’s most essential attractions. 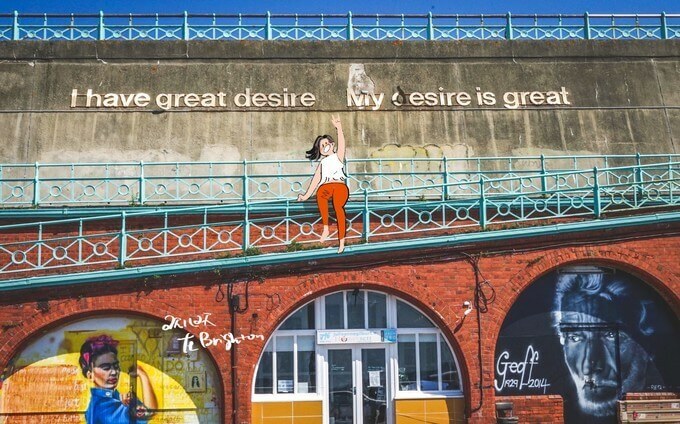 Huan immersed herself in the fun and frolics of the Brighton Festival, visited the main attractions of the city and took to the countryside at the Seven Sisters Country Park. In London, she discovered the lived history of Tower of London, made friends with the Queen’s Horses at the Household Cavalry Museum, took a City Cruise down the Thames, saw the breathtaking View from the Shard, enjoyed the Royal Wedding in Kensington Palace’s gardens, explored the exotic delights of London’s Chinatown, and had thrilling day trips out to Stonehenge and RHS Wisley Gardens. We were thrilled with the results of this project and the huge success of Huan’s unique approach to blogging. 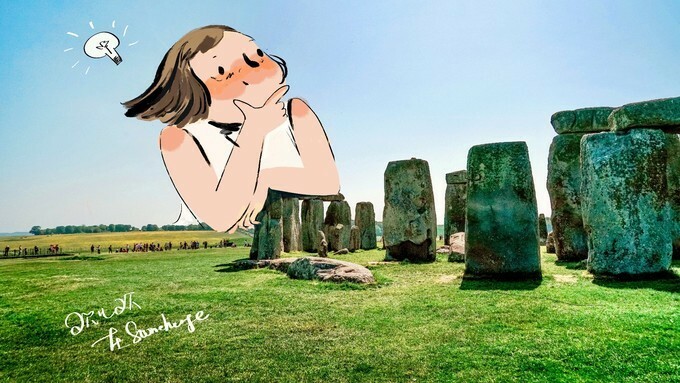 Throughout the trip, Huan shared her experiences via posts on her WeChat for her friends and family to see, and Weibo for her 49,000+ followers. 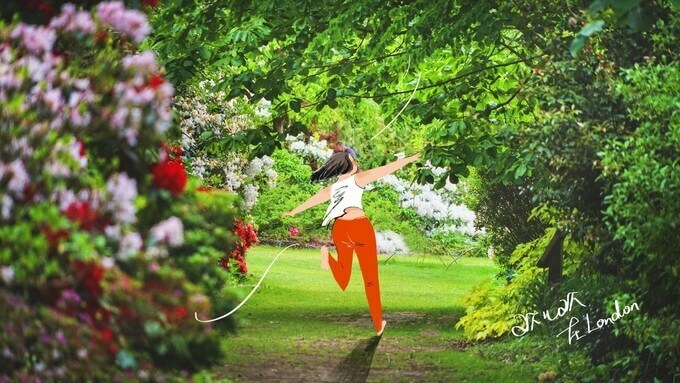 She published 17 posts on both her WeChat and Weibo, each including a selection of stunning on-location photographs. 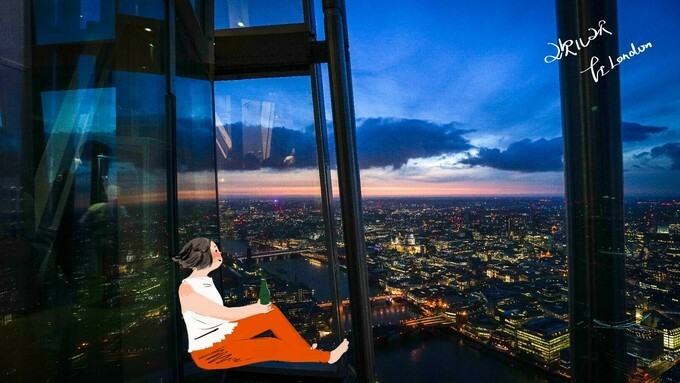 Huan adds a personal touch to many of these photographs by illustrating her cartoon self into them; cartoon Huan can be seen frolicking through RHS Wisley’s beautiful Gardens and gazing out at London’s picturesque night sky from The Shard’s Open Air Skydeck. Huan wrote and published an extensive article about the trip on Mafengwo, one of China’s most popular review sites, as well as Ctrip Mobile, Qyer, and Autohome. In the month after publishing her blog, she amassed an additional 10,000 Weibo followers; clearly, Chinese internet users enjoyed her coverage. 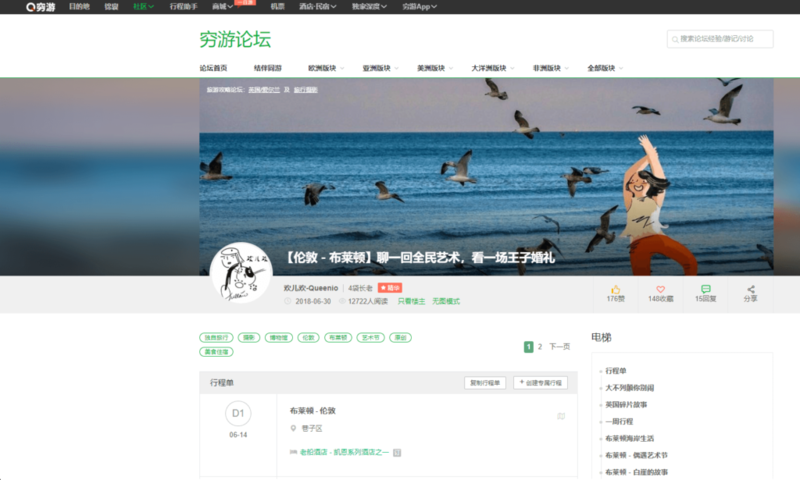 On 20th July, Huan’s blog reached the home page of Ctrip Mobile. 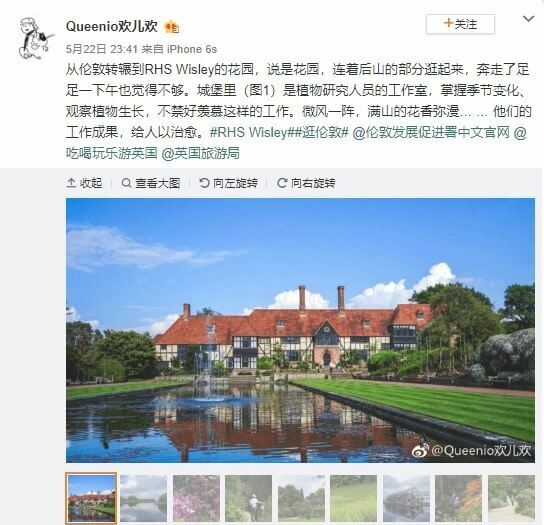 Five days later on 25th July, the blog made it to the front page of Qyer BBS, a place reserved for the best Chinese travel blogs. Qyer BBS also wrote about Huan’s incredible illustrations in a Weibo post which was shared to their 2.86 million followers to enjoy. As of August 2018, the blog’s total views have reached over 37,000 across the four platforms, and it has over 750 likes. More than 350 users have saved the blog for future reference , to help inspire them for their next trip abroad. If you are interested in Chinese KOL trips, please contact us for a chat.